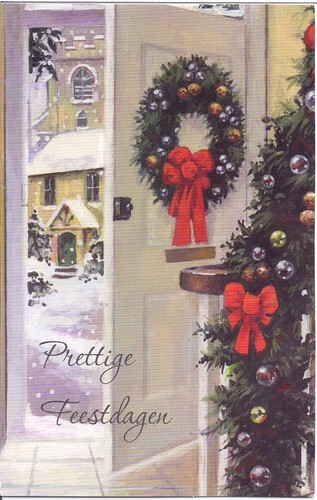 Mailbox Happiness: Of Course, More Christmas Mail! 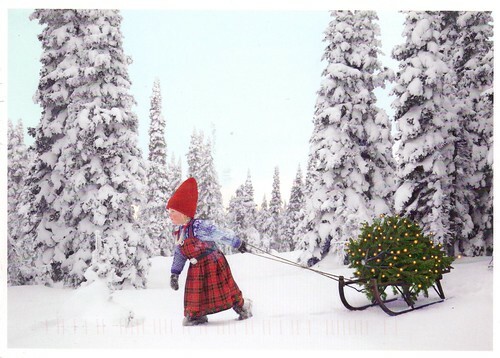 How about a little more Christmas mail and stamps today, I love the season of Christmas! 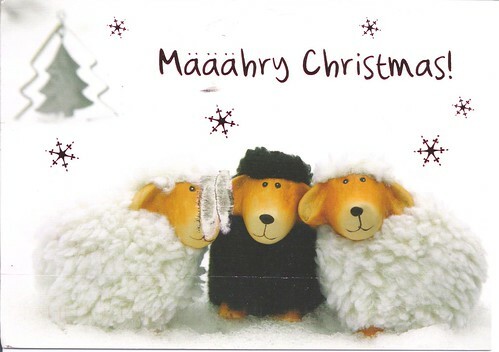 I'm so smitten with this card of Christmas Sheep, I think I'll keep it with my small sheep collection instead of my Christmas collection. I would love to open my front door and see wonderful snow like that but here in Texas we are still wearing short sleeves as of yesterday. 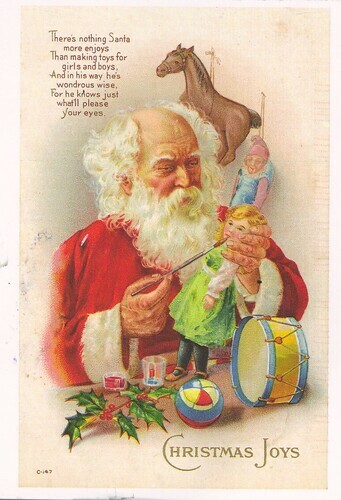 A wonderful Vintage Reprint of Santa Claus. 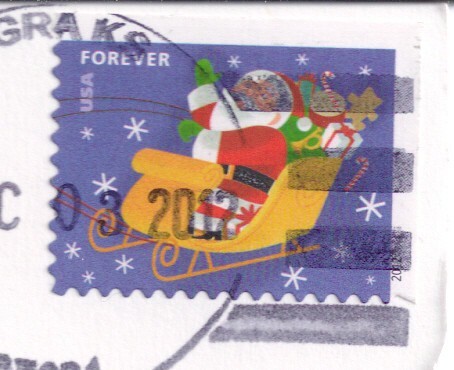 USA Christmas Postage Stamp-Sad about the super heavy cancellation and right over Santa's cute face too! Ooooohhhhh, isn't she adorable! This was actually sent to Meredith from a wonderful friend in the UK. 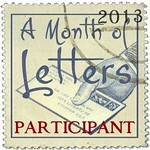 He know's how much she loves getting mail and thoughtfully sent this along from across the pond.